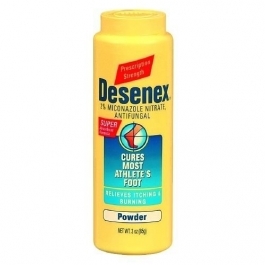 Cures athlete's foot (tinea pedis). Relieves the painful itching, burning, cracking, and discomfort associated with athlete's foot. Clean the affected area and dry thoroughly. Apply a thin layer of the product over affected area twice daily (morning and night) or as directed by a doctor. Supervise children in the use of this product. Pay special attention to the spaces between the toes. Wear well-fitting, ventilated shoes, and change shoes and socks at least once daily. Use daily for 4 weeks. If condition persists longer, consult a doctor. This product is not effective on the scalp or nails. Do not use on children under 2 years of age unless directed by a doctor. For external use only. Avoid contact with the eyes. If irritation occurs or if there is no improvement within 4 weeks, discontinue use and consult a doctor. Keep this and all drugs out of the reach of children. In case of accidental ingestion, seek professional assistance or contact a poison control center immediately.